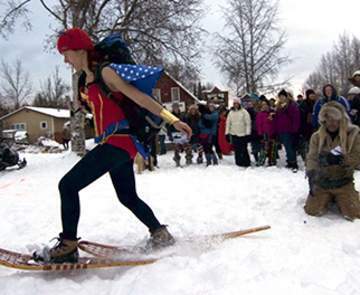 You'll find a wide variety of hotels and other lodging opportunities in the Mat-Su to fit your preferences and budget. Choose from comfortable lakeside resorts, hotels, unique bed and breakfasts, historic lodges and inns, convenient motels, mountain chalets, log cabins and vacation rentals. 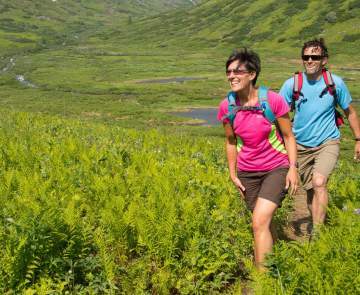 Or you can enjoy the ultimate Alaskan experience by flying in to a remote wilderness lodge. 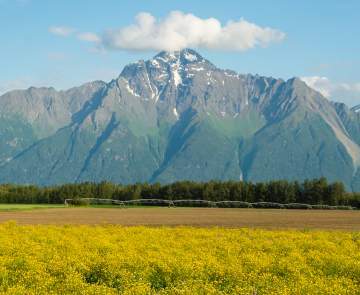 The towns of Wasilla, Palmer and Talkeetna have the most hotels and lodging opportunities in the Mat-Su Valley, but there are plenty of other options for your vacation. Beautiful bed and breakfasts can be found just about anywhere, and there are a number of quaint lodges along the road system. Select a category from the menu below to view your Mat-Su lodging options and what amenities are available. Or for a more specific search type in keywords in the member business search field to find what you're most interested in.